When the client is uploading images, if the value of "DHCP Enable" in the dialog box of "Network Connection Details" is "Yes", then you do not need to do the following settings (Figure 1‑1). 1) Use "super client" to diskless boot a client. 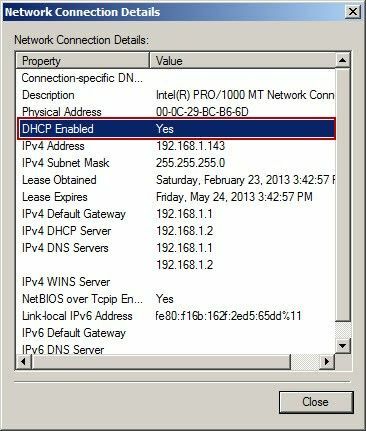 2) Confirm if the client DHCP service is on. 3) Click the "Start", type "services.msc" in the "Run" edit box, and then press enter. 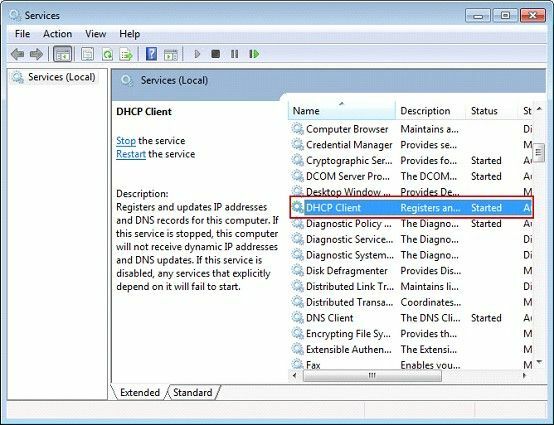 4) In the "Services" window, double-click the "DHCP Client" (Figure 1‑2). 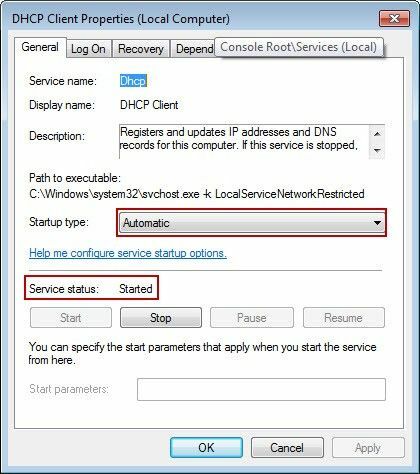 5) In the "DHCP Client Properties" dialog box, check the value of "Startup type" is "Automatic" or not, and the status of "Service started" is "started" or not (Figure 1‑3). 6) Click the "Start" button, type "regedit" in the "Run" edit box, and then press enter. 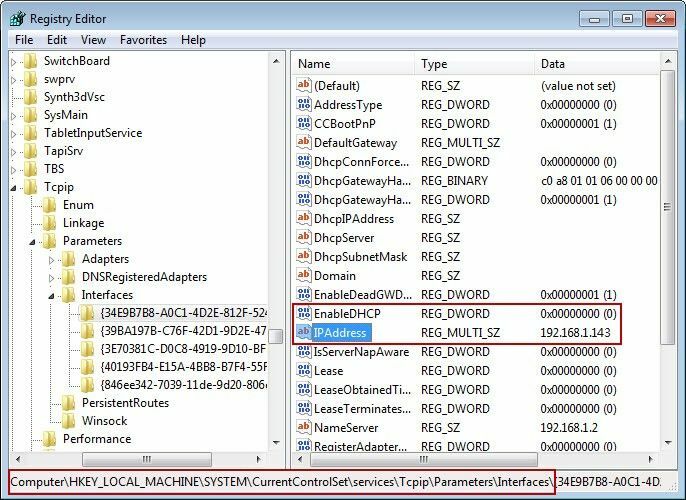 \HKEY_LOCAL_MACHINE\SYSTEM\CurrentControlSet\Services\Tcpip\Parameters\Interfaces, there are a lot of branches below, expand one by one, find the value of "IPAddress" is a branch of "local IP address", then double-click "EnableDHCP" (Figure 1‑4). 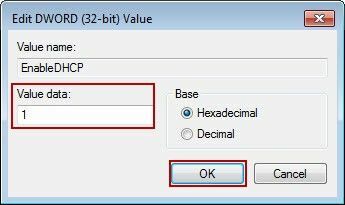 8) It will pop up "Edit DWORD (32-bit) Value" dialog box, type the number "1" in the "Value data" edit box, and then click "Ok" button (Figure 1‑5). 9) Close the registry editor window. 10) Close the client PC. 11) In the CCBoot server, disable "super client".